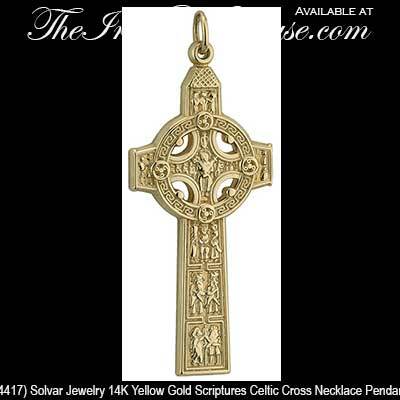 Cross of Scriptures Celtic cross necklace is a heavy weight design in 14K gold that is suitable for a man. 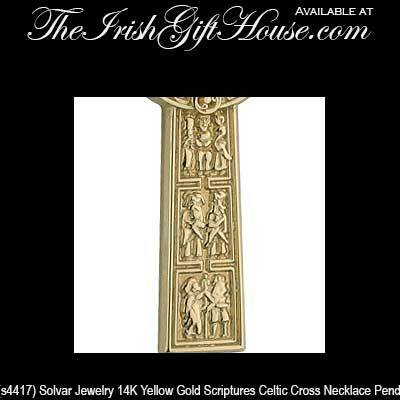 The 14K gold Cross of Scriptures necklace is a highly detailed replica of the west face of the 9th century monument that is located the monastery at Clonmacnoise in County Offaly, Ireland. The Clonmacnoise Celtic cross pendant measures 3/4" wide x 2” tall, including the jump ring, and it includes a 20” long 14K gold chain. 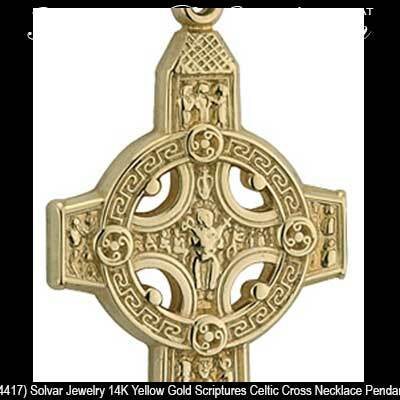 The included chain is item # s9029, a medium weight curb chain; this Celtic cross is also available as a charm without a chain, see item # s8211 in the Celtic cross charms section on this site. This masculine piece of Irish jewelry is gift boxed with a Celtic cross history card, complements of The Irish Gift House. 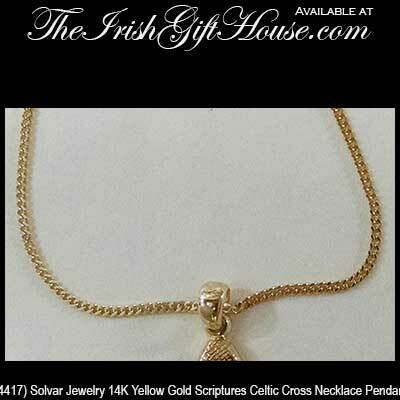 The gold Celtic cross necklacemen is made by Solvar Jewelry in Dublin, Ireland.